“Oh GOD..!! I am fed up of waiting now. 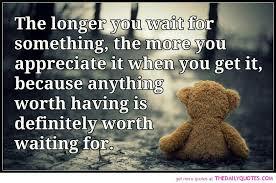 How long I need to wait? Why am I supposed to wait so long? Waiting – I think no one on this earth has escaped this experience of waiting. There are so many forms of waiting & so many ways of reacting to these. The word gains significance w.r.t. time frame allotted by us. It can be based on how long it takes or how fast we want it to happen. 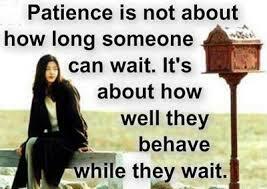 Waiting for few things is just natural & obvious. For instance, waiting for rain, waiting for spring, waiting for day, waiting for night or waiting for weekend. 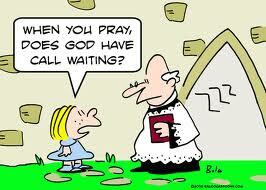 This is self created wait, just because we are longing to see the change for a particular reason. These are all pre-defined things no matter how impatiently we wait & these will happen for sure no matter we want to see that change or not. I would term this category as “ILLOGICAL WAIT”. Then comes, routine life waiting. This one is based on punctuality, crowd, and unavoidable resistances. Waiting for bus/train, waiting in a queue, waiting for someone. This is completely unavoidable most of the times and is the most irritating one. 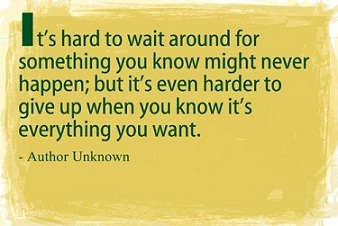 You rarely know how long you need to wait. Some people adjust themselves to these and try to handle the situation calmly while others keep cursing the situation & the system. 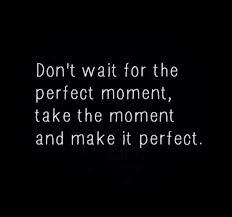 These are all momentary waits that distracts/ disturbs us for a while but end up soon. I would term this category as “IRRITATING WAIT”. And then comes, the most difficult category that is totally based on our desires and expectations. This form of waiting is undefined, unpredictable, without any boundaries / time frame. At times, it relies just on imagination & belief and at times it is based on realistic goals. 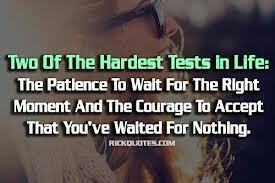 How well we can cope with these actually defines how patient and adaptable we are to the current situation. At times, we have the illusion of getting nearer to our target & then we realize, it’s still the same distance away. Or, we get panicked, irritated, frustrated & just give up. I would term this category as “FRUSTATING WAIT”. It’s necessary to set some goals & targets to keep yourself moving & growing. It’s inevitable to have desires & expectations. To achieve these we obviously, make some plan, do some efforts & eagerly start waiting for results. Sometimes, things flow the way we want but not always. This is where we need to understand the role of GOD, our destiny & our fate. 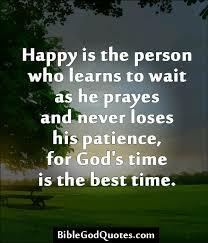 Leave those to the will of GOD, and keep moving enjoying your present. Always remember, if you keep worrying for the future you may end up ruining your present. Learn to live the present and plan the future but never get so busy planning it that you forget living your present. This entry was posted in Life and tagged FAITH, God, Life, lifestyle, opinion, PATIENCE, Philosophy, Quotes, Random, Random, Thoughts, WAIT by Akanksha. Bookmark the permalink. Interesting thoughts on something most of us commonly experience. Loved the quotes too. Thank you God for keeping me alive. Thank you God for this life! Thanks for sharing this wonderful poem..!! “Always remember, if you keep worrying for the future you may end up ruining your present. Learn to live the present and plan the future but never get so busy planning it that you forget living your present.” Oh so good!! 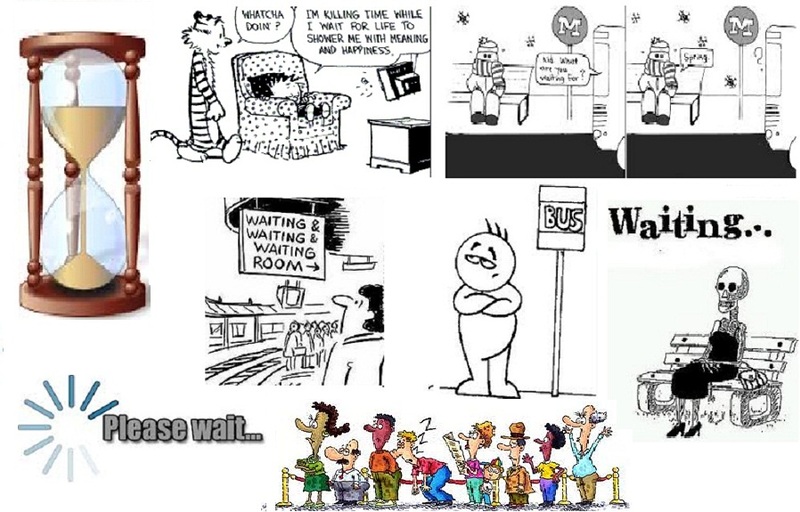 I love how you described the different types of waiting we may experience. I never thought of it that way! 🙂 I think it’s so important (like you mentioned) to stay active while you’re waiting. 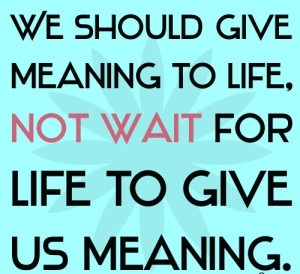 Just because we are waiting on something it doesn’t give us the right to stop living life to the fullest and making the most of every opportunity. God wants us to continue growing in Him, expanding His Kingdom, and moving forward whether we are waiting or not. Great post!! It really makes me feel glad that you loved this post. It’s so nice of you to leave your valueable feedback here & to give an agreement to my thoughts. God bless you too Akanksha! Hope you have a wonderful day! Hi.. Hope your words become true. If my blog can become a platform of inspiring people across the world than it will be the greatest reward of my writing. Thanks for sharing your views and uplifting my morale for writing more. Did you just pop into my mind and write what I was thinking.. I am going through a phase in which i have to wait, against my wish and its not under my control, but all I have to do is WAIT.. But one thing is for sure, you have put the thoughts in a way much better than I would have, if I would have written about it! Thanks you so much for your kind words. It’s great to know that you liked this post.